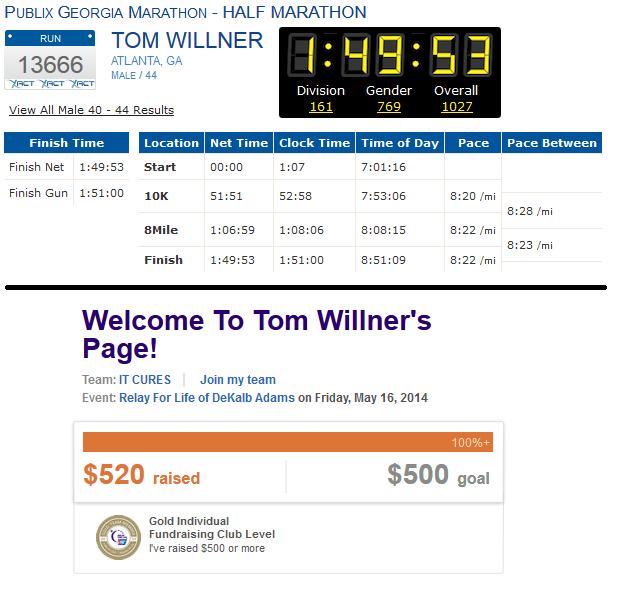 Once again, I chose to run one of my favorite races, the Publix Georgia Half Marathon. It starts and ends at Centennial Olympic Park, walking distance from my office. It's primary sponsor is Publix, where I shop, and which provides great healthy food at the race. 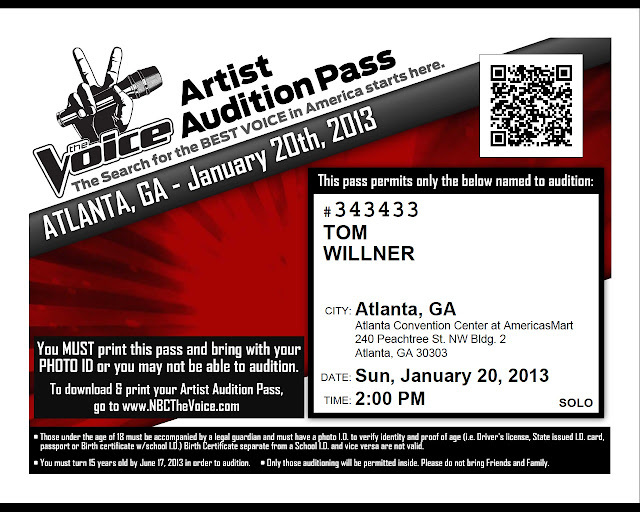 It goes through my neighborhood as well as some of my favorite places in Atlanta. The Expo rocks. What's not to love? 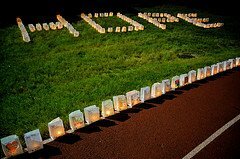 Also, I decided I would combine some passions and run the race as a fundraiser for Relay For Life. At first my goal was $20/mile for a total of $262, but my Facebook friends came through in spades and I sailed right on by my goal. I kept raising my goal, and kept passing it. You'll see my final tally below. Oh, and did I mention my bib number turned out to be 13666? Pretty funny. The expo is held in the Georgia World Congress Center (also a walk from my office) and is packed with cool stuff. Packet pickup was simple, and the goodie bag was, in fact, good. CBS 46 had cool exhibits where you could pretend to be a sports anchor and a meterologist. Publix had lots of food and cooking demonstrations. I ended up buying clothes and some equipment (the Stick and a mini foam roller). Last year, I ran the race in 1:57:14. This year, I was hoping to beat that, and with any luck, beat 1:50. I lined up before sunrise for the 7 AM start in Corral D, much closer than H last year. (It took me four minutes to cross the starting line in 2013, but just over one minute in 2014.) The temperature was perfect for me - in the low 50s - and it was overcast. I didn't carry my phone with me this year, so I didn't capture any personal photos. However, you get to start at Centennial Olympic Park and go through Georgia State University, over the Jackson Street bridge with the amazing skyline view, through Old Fourth Ward, Inman Park, by the Carter Center, through Poncey Highlands, Virginia Highlands, Piedmont Park, Midtown, and Georgia Tech before returning to the Park. These are some of my favorite neighborhoods in Atlanta. If you are looking for a cool, scenic Atlanta race, look no further. As far as my performance goes, while I didn't sign up for a pace group, I did try to keep up with the 1:50 pace group. I found it to be a lot harder than I'd hoped. The pacer seemed very consistent, and served as a constant reminder of how well I was doing. On numerous occasions, I felt like I was falling too far behind to catch up, only to later spot that little flag. I was in a constant mental struggle between relaxing the pace and enjoying the ride, or pushing myself to see if I could do it. 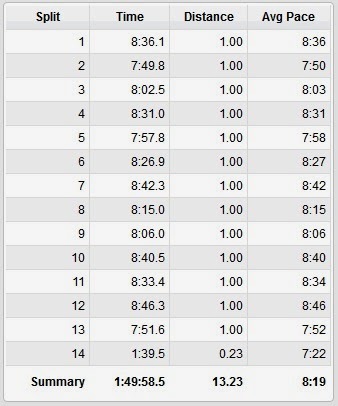 When I saw the time of 1:33 at mile 11, I knew it would be tough and very close to beat 1:50, but I went for it. 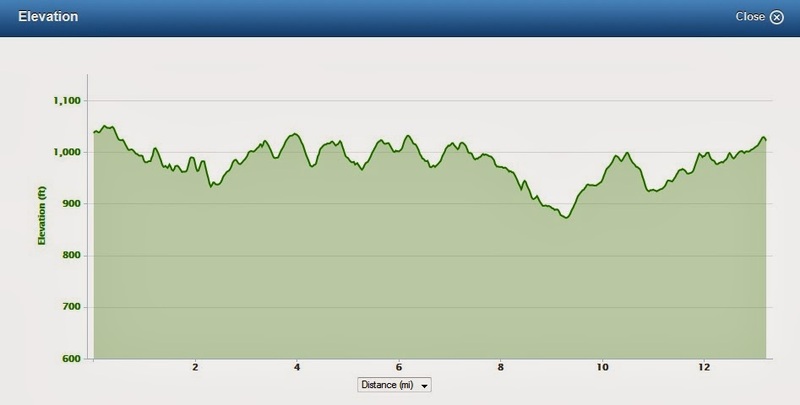 Despite the hills, I ended up running on the last mile harder than my latest 5k pace a few months back. I pushed myself, slowly but surely catching up to the 1:50 pacer. As we closed in on the Park, I was almost caught up, when the pacer turned around and yelled "C'mon! Push it! You can do it!" It was just what I needed for that final push to the finish line. I ended up crossing with a chip time of 1:49:53. I was thrilled, and a bit nauseous! Yes, I hit a my new Half Marathon PR, and raised over $500 in the fight against cancer. All in all, a great experience. Wow! You look fantastic, even though you're in post-race exhaustion in these photos. Great write up -- I like how you don't reveal the triumph until the end. Between you and Jonathan, I feel like a slacker. I haven't done any kind of athletic fund-raiser thingy since the Boston--->NY AIDS Ride II in 1996.